This palace is the only civil building from the seventeenth century that survives today. It highlights its beautiful facade of red volcanic rock with balconies and blazons carved in pink quarry; in its interior 111 semicircular arches present a pleasant set in its two central patios, whose walls are decorated with paint works of the Chilean master, Oswaldo Barra Cunningham. Next to the Government Palace is the City Hall, whose construction dates to the 18th century. The building has a facade of neoclassical style in pink quarry on two levels. On the front steps stands a mural that represents the most symbolic works of the city. 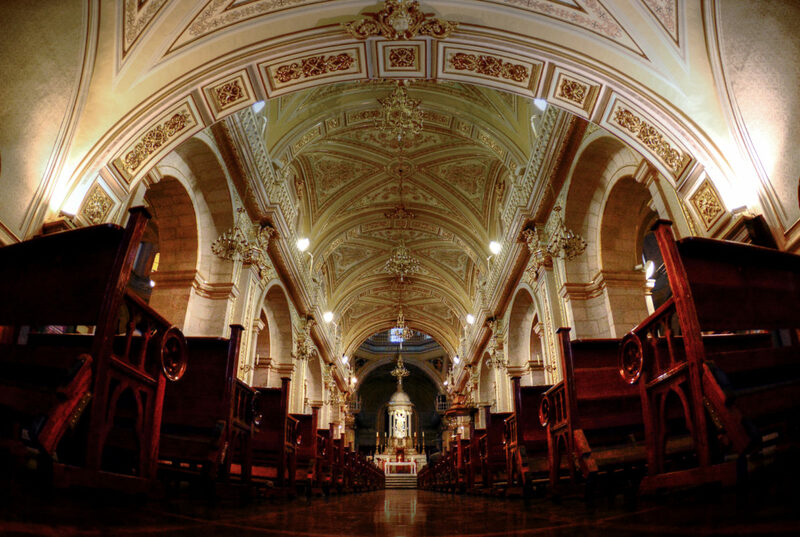 Dedicated to Nuestra Señora de la Asunción, its Baroque-Solomonic architecture and the pictorial works of Miguel Cabrera and Juan de Osorio stand out in its interesting gallery. Undisputed center of the political, commercial and social activity of the city. 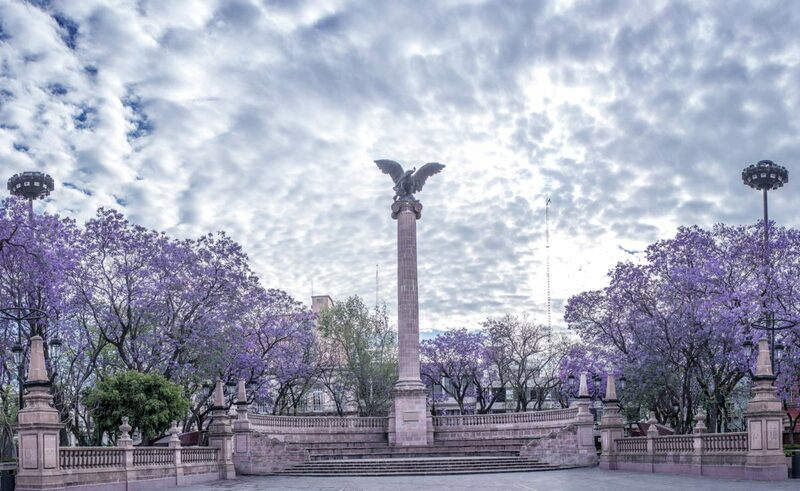 The Plaza de la Patria, flanked by some of the most iconic monuments and buildings of Aguascalientes, and framed by beautiful jacarandas, is a point of reference and a must for any visitor. In its center stands a solemn column dating from the end of the Colonial Period, topped by an eagle devouring a snake, the national symbol of Mexico. This beautiful Porfirian building was used by the revolutionary leaders in the Sovereign Convention of 1914, summoned among others, in order to unify the antagonistic revolutionary factions. In 1989, on the occasion of the celebration of the 75th Anniversary of the Sovereign Revolutionary Convention, a small museum was installed, and it was declared a Historical Monument of the Nation in 1993. Located in the Plaza de la Patria, next to the historic Morelos Theater, it’s an area conceived with the ultimate goal of creating an atmosphere of transition from open to closed space, where the shadows, the sound of water and the scale of elements were able to create an expressive and changing space according to the time of day and the season, and which is continuously used as a meeting point and for artistic presentations. As a tribute from the citizens to one of his most beloved and most recognized children in universal art, one of the brightest and most emblematic artistic personalities of Mexico at the end of the 19th century, the Patio Jesús F. Contreras presents the replicas of twelve reliefs in large format bronze, representing pre-Hispanic heroes and deities. Located on Venustiano Carranza Street, the Regional Museum of History of Aguascalientes is, since 1987, the basic instrument for the formation of a collective conscience that defends, preserves and disseminates the historical and cultural heritage of the State. 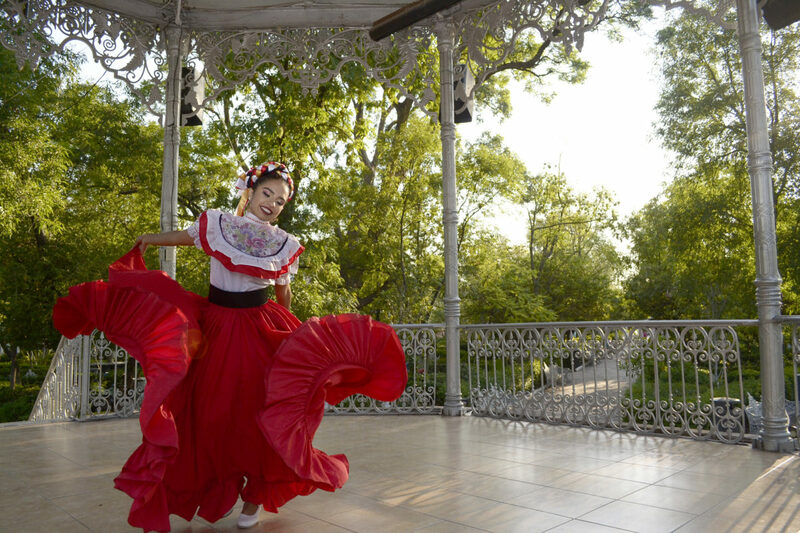 As you go through its rooms you have the opportunity to know the history and the conformation of the Aguascalientes region, without losing sight of the national context. The Museum headquarters are located in a house that, although was built in 1914, is a faithful reflection of the type of houses of the end of the 19th century. Its eclectic architectural features combine different artistic styles and give the building the signature of the builder: Refugio Reyes. Connecting the Historic Center with the Garden and San Marcos Neighborhood, and within the perimeter declared World Heritage Site, it has been remodeled over the last decades, resulting in a street that vibrates with its artisanal, architectural offer and its bohemian life. At the beginning of the twentieth century, the famous architect Refugio Reyes was entrusted with the construction of the Hotel Paris, which served with luxury and elegance until 1982, when it became the Legislative Palace. In this work, master Reyes printed his characteristic neoclassical style on the inside and outside of a body of three levels in pink quarry, where stands a large central staircase with luxurious balusters. On Juan de Montoro Street, this house was built between 1900 and 1917 also by Refugio Reyes, fulfilling the functions of hotel, school, winery and, finally, ending abandoned. The State Government acquired it and granted it to the National Institute of Anthropology and History, which inaugurated its regional headquarters in 1989. The store “El Número 8” opened its doors at number 8 of the Calle Independencia; it also had the coincidence and the destination that its new owner, José de Jesús Rábago, had been born on the 8th, of Month 8, of 1888. At the moment it lodges the Museum of Contemporary Art, a space that unify the representative heap of the contemporary plastic of Mexico; works awarded at the National Meeting of Young Art, which show the concerns of new creators, are also present. The construction of the temple and convent began in 1651. Here the Camarín de la Virgen de la Purísima Concepción deserves a special mention, an image that is venerated on the main altar. It is an exquisite chapel located on the back of the main altar of the temple. 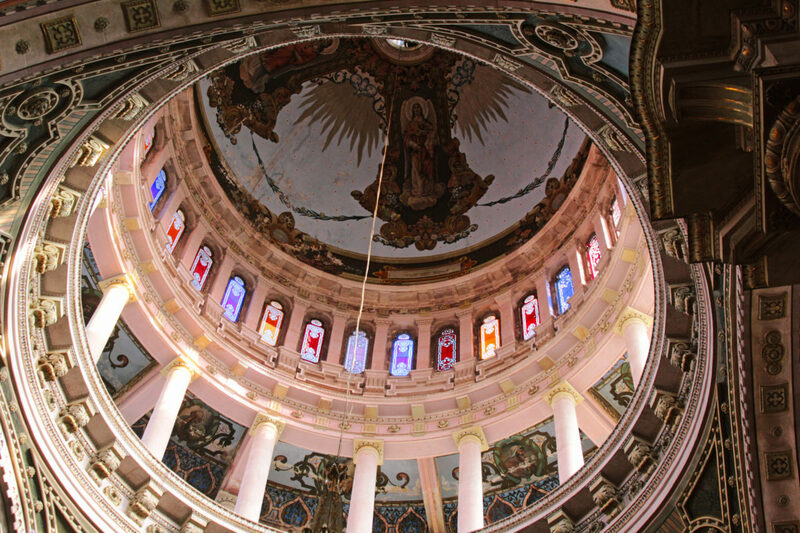 It is a circular space topped by a large dome whose purpose is to change clothing to the image, and in whose architecture and ornamentation Mariana iconography is profusely captured. The National Museum of Death, first of its kind in the country, presents a collection of almost two thousand pieces alluding to Mexican traditions that orbit around death. 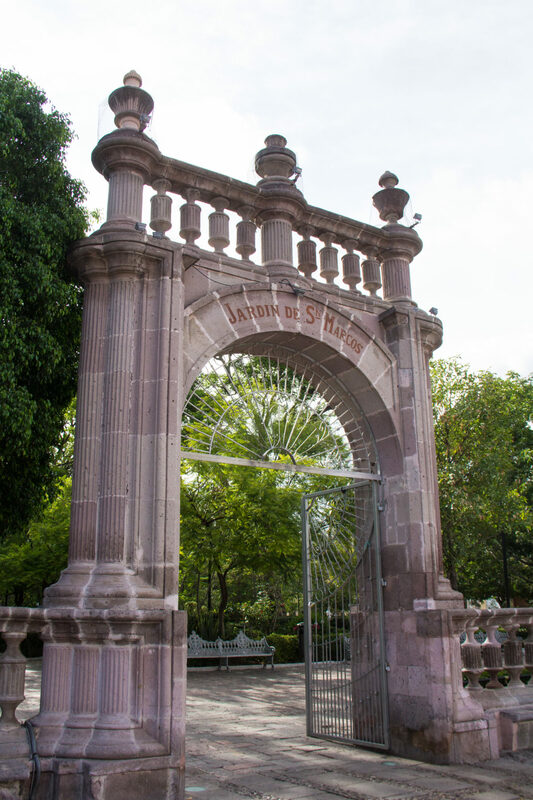 It’s a vast collection donated by the artist Octavio Bajonero Gil to the Autonomous University of Aguascalientes, located in two buildings of this maximum house of studies. The collection is made up of art objects and books, among which are works by some 300 Mexican artists, including pieces from the Aguascalientes Jose Guadalupe Posada, pre-Hispanic and colonial objects, mortuary masks, paintings, engravings on paper, cloth and stone, archaeological items and miniature objects such as Moctezuma’s skull with plume elaborated on the head of a match. 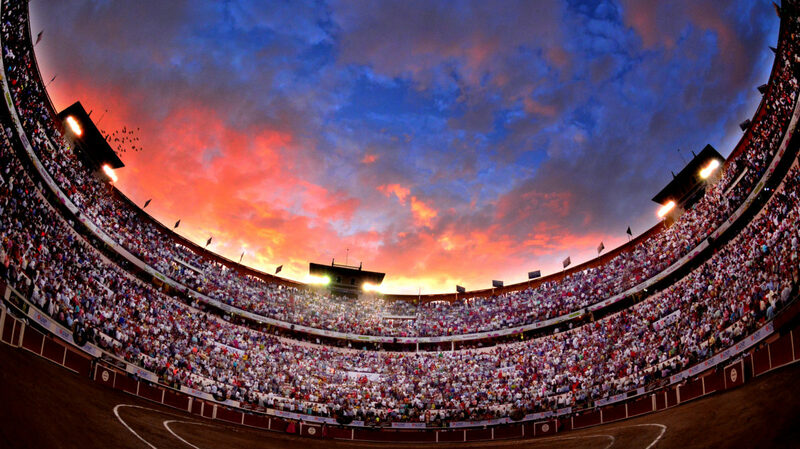 Considered the religious masterpiece of Aguascalientes. Its construction began in 1895 and was completed in 1908 to open its doors to the public. It presents a fusion of diverse architectural currents, combining neoclassical elements, Art Nouveau, Mudejar style, Venetian architecture, Neo-Gothic and Neo-Baroque, incorporating it in such a way to the current of eclecticism, an expression that is extremely original. Originally conceived as a seminar, and later used as the headquarters of the Escuela Normal del Estado para Mujeres, it was built from 1903 to 1916, in a neoclassical style. Also work of Refugio Reyes Rivas, its façade recalls a Greek temple. In this museum they highlight the reproduction of the sculpture of “Malgré Tout” and two bronze sculptures of an indigenous couple, both works of Jesús F. Contreras. The rooms of the second patio lodge permanent exhibitions, composed of oil paintings and drawings with indigenous themes by the famous painter Saturnino Herrán.